When Deep Down Dead was first published as an ebook in October, I managed to convince myself to wait for the paperback in early January. I was very excited to read it, and had been for years – so I thought a couple more months couldn’t hurt. 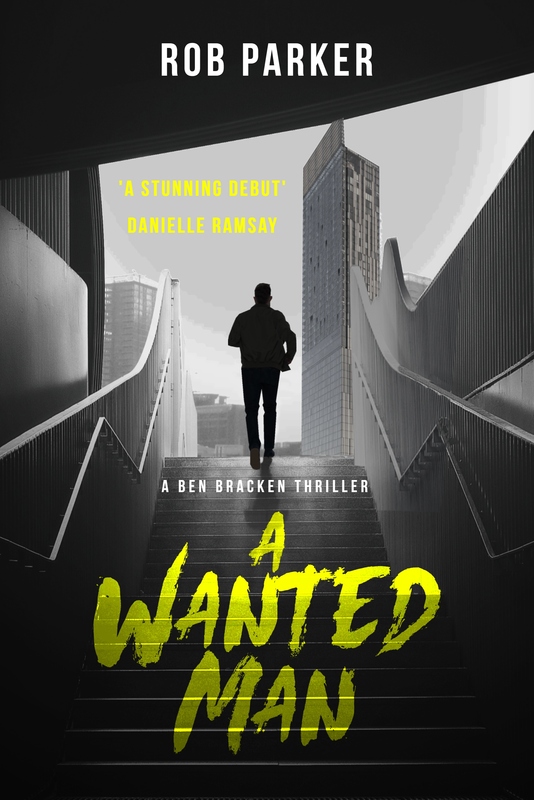 Then the reviews started coming in – five stars upon five stars, with some of the biggest names in crime writing on both sides of the Atlantic weighing in with heavy praise and before I knew it, I was bursting to read it even more. The paperback couldn’t arrive quickly enough. The reason I was so excited is because I was actually present when the book was pitched as part of the Pitch Perfect contest at Bloody Scotland 2014 (a hell an event, by the way). I sat there (having just signed with my own literary agent, tentatively dipping my little toe into the literary waters) and listened in awe as Steph Broadribb span a fascinating yarn about a female bounty hunter in Florida, drawing from her own experiences training as a bounty hunter in California – I couldn’t believe what I was hearing. It was a book I wanted to read immediately. Prior to that event, and for a good year after, I never once made the link that Steph was in fact Crime Thriller Girl, the popular crime blogger whose reviews, articles and recommendations I had always followed and enjoyed. It was only when word started to get out about ‘the book with the female bounty hunter in Florida’ that the penny began to drop. I was thrilled and delighted to hear that I was actually going to get to read that exciting story, that Steph was going to be published, and that that same story that got me hooked in that pitching contest was going to be her debut. Regarding the book itself, there are far more eminent crime writers out there whose words carry far more weight than my own – but I just love what Steph has done, how she has delivered it, and what a great series (I hope!) she has set up. I’m fully invested in Lori Anderson, JT and Dakota, and am so excited to see what happens next. If you like your thrillers fast, urgent and gripping, with a great, fresh, relatable protagonist, in a setting that drips with intrigue and genuine authenticity, then Deep Down Dead will be right up your street. As I’m learning, in crime publishing you tend to find just the nicest people – and Steph is no exception. She has been so kind, generous and encouraging towards myself, in ways that I never expected or assumed. Make no mistake, Crime Thriller Girl is one of the good guys… and to see this book go from beginning to such a spectacularly successful end is so very pleasing. She is lovely, isn’t she? Are you going to be at this year’s Bloody Scotland? Couldn’t agree more – she has been so kind and supportive and I’m so glad to see how great things are going for her! And regarding Bloody Scotland, I’m sure going to try to! My wife is expecting our third little ‘un not too long after the dates, so I’ll have to see how we are fixed! Cursed real life getting in the way of crime goodness.